Has the West lost its moral compass? The Whitlam Institute is delighted to host the first Parramatta screening of Border Politics, a documentary that follows human rights barrister Julian Burnside QC as he travels the globe examining the harsh treatment of refugees at the hands of western democracies. 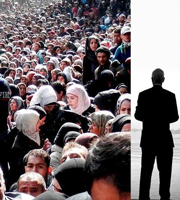 The screening will be followed by a Q and A discussion with Burnside himself, filmmaker Judy Rymer and former Hazara refugee Hayat Akbari. This powerful contemporary film is about the threat to human rights, the loss of democratic values and our increasingly heartless treatment of ‘the other’. Julian Burnside is one of Australia’s leading commercial barristers, successfully representing some of Australia’s most high profile business people. Until the late 1990’s, he mainly acted for the ‘big end of town’. 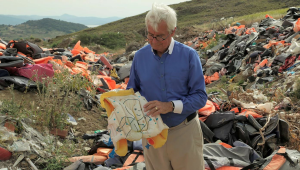 A documentary that follows human rights barrister Julian Burnside QC as he travels the globe examining the harsh treatment of refugees at the hands of western democracies.